We would love for you to share our work with your friends! Rome, Georgia is nestled in the Northwest corner of Georgia, 60 miles North of Atlanta. Many would consider this a small town but this hamlet has enough to keep you busy for days. Most people learn about Rome, Georgia because of Berry College, the largest college campus in the world. 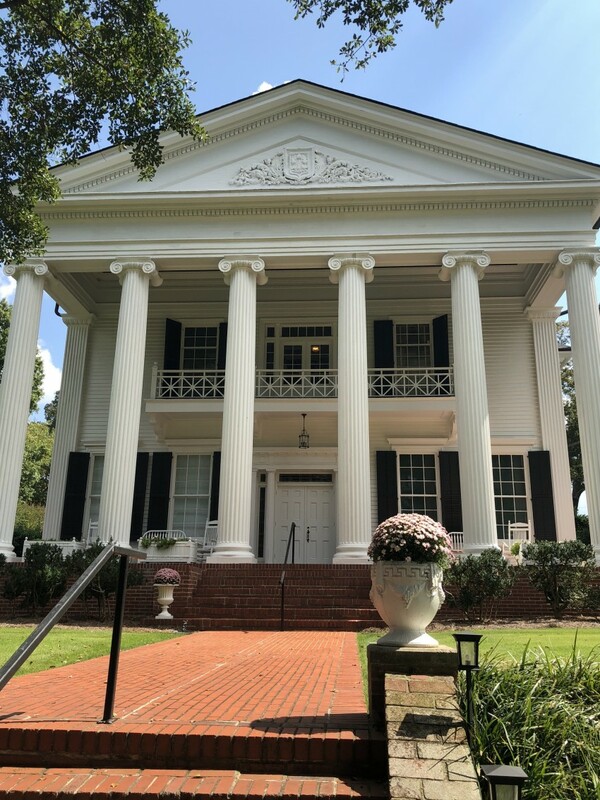 Martha Berry Museum and Oak Hill tell the story of the founder, Martha Berry. The museum has mementos of her life and Oak Hill is Berry’s family home. Oak Hill is a beautiful, Greek-revival style, two story home. Outside the home is the carriage house, which houses automobiles and even a carriage that belonged to Ms. Berry. The home is also surrounded by beautiful gardens. Across the street is the sprawling Berry College campus. The mountain campus includes a cabin visited by Theodore Roosevelt that is now named after him. Bikers, hikers and outdoor enthusiasts enjoy visiting the campus. The House o’ Dreams, Ms. Berry’s retreat, is a popular hike for visitors. Rome’s Clock Tower can be seen from anywhere in downtown Rome. 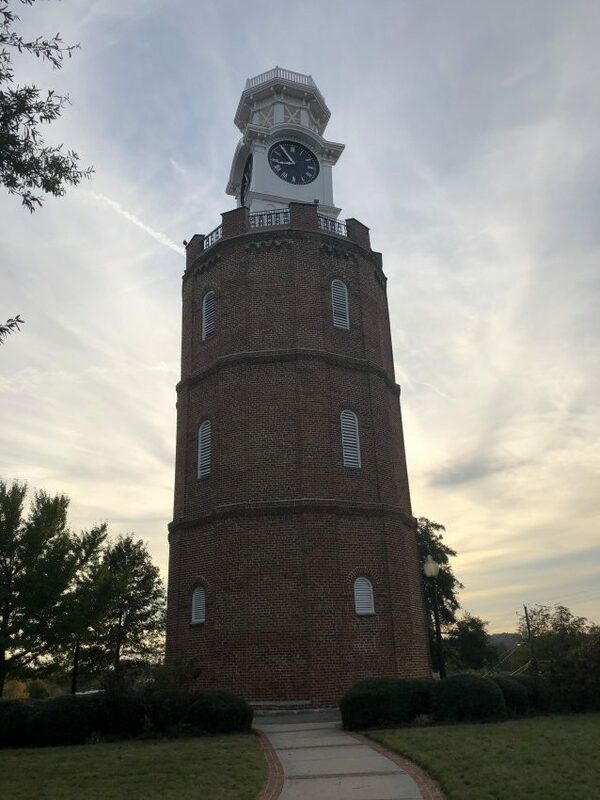 The Clock Tower is located on Neely Hill, one of the city’s seven hills. You can tour the clock tower on certain dates between May and September and take the 109 steps up to see a spectacular view of the town. 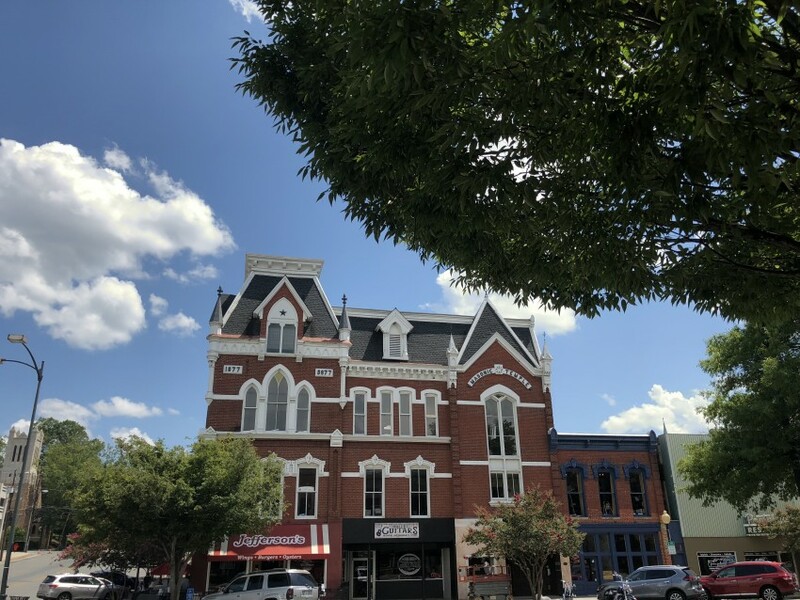 The heart of Rome, Georgia is in its downtown. Broad Street is filled with boutiques and restaurants that take more than a day to enjoy. The city’s three rivers meet downtown giving visitors plenty of places to walk. A popular stroll is across the pedestrian bridge to the new Courtyard by Marriott Rome Riverwalk. 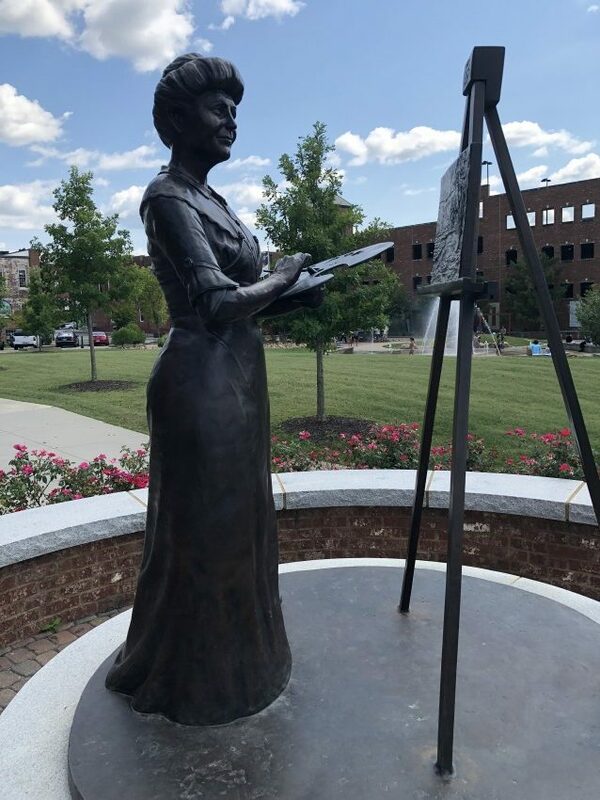 Along the way you will find a statue of Ellen Axon Wilson, the late wife of President Woodrow Wilson. 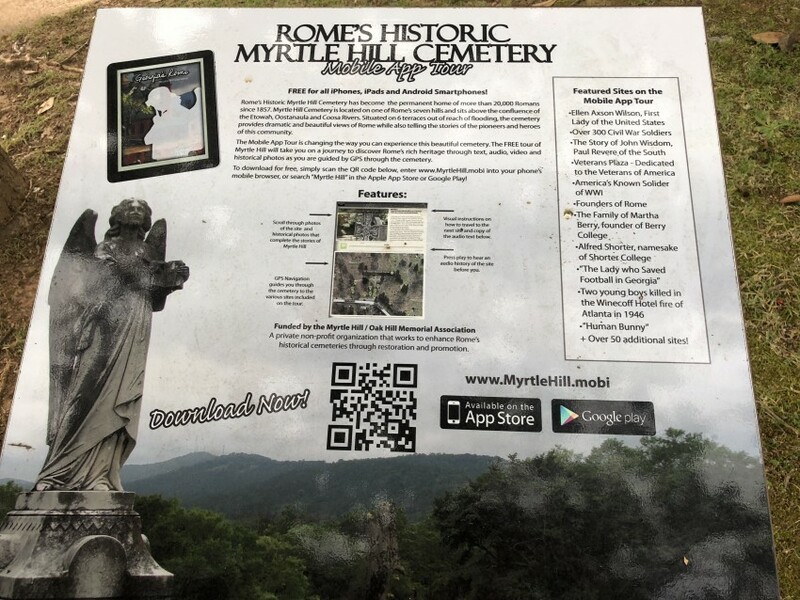 She is a native of Rome and is buried in Myrtle Hill Cemetery. Make sure to take some time to see the statue of Romulus and Remus in front of Rome City Hall which was gifted to the city by Italy. You will also find the Rome History Museum downtown where you can learn more about the city of three rivers and seven hills. You can do more than gaze upon the rivers. Rome has become a popular place for kayakers and canoers who want to float down the river. Take a look on the river on any day and you are likely to see a paddle boarder or two. 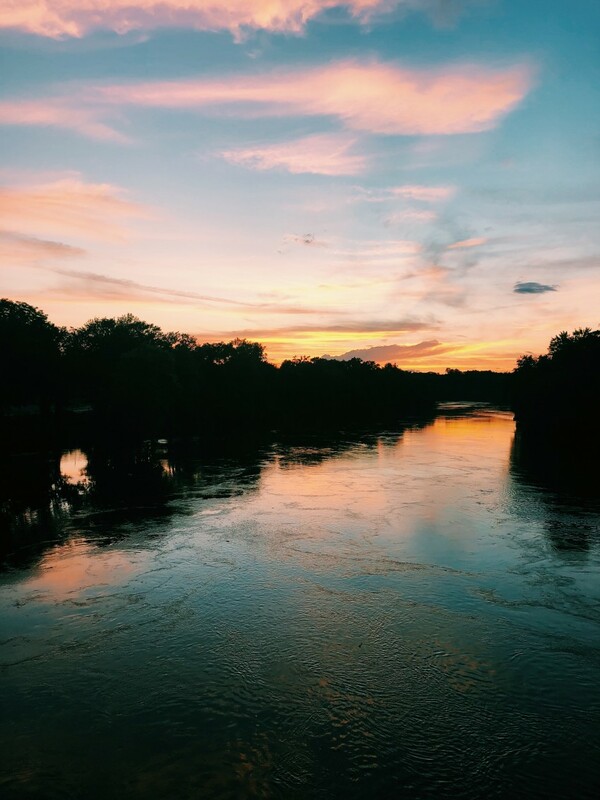 If you would rather stay on the banks of the river, Rome has several great fishing spots. One of the most popular is the Lock and Dam, located a few miles outside of the downtown area. The Lock and Dam has a campground and a general store. For those who prefer to watch sports, the Rome Braves play from April to September at State Mutual Stadium. The team is a minor league affiliate of the Atlanta Braves. Many current major league players got their start in Rome. In 2016 the Rome Tennis Center at Berry College opened. It’s the largest facility of its kind in the state and is located just a couple of miles from downtown on the Armuchee connector. You may catch a high-stakes college tournament while visiting. The ACC championships were held in Rome in 2017. Rome is known for its dedication to tennis. You can also play at the Rome-Floyd Tennis Center located downtown on West Third Street. Myrtle Hill Cemetery overlooks Broad Street. The cemetery is the final resting place of former First Lady Ellen Axson Wilson and the Known Solider. Enter the cemetery at Veteran’s Plaza and download a guided tour onto our mobile device. Rome is an hour drive from Atlanta or Chattanooga. Get away from the big city for a while and soak in some small-town charm. This article was written by Kim Jarrett of Southern Family Adventures.